What to do with so many tomatoes.. 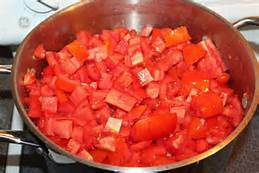 I came up with one recipe for so many home grown tomatoes, I think you will enjoy. 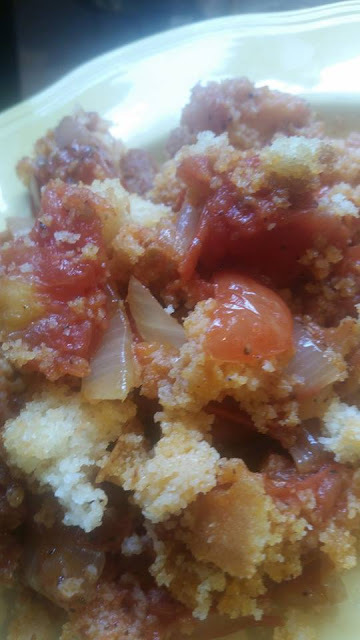 Tomatoes Cornbread Dressing great little Sunday side dish with that Fried Chicken And Purple Hull Peas. Have no idea at this moment on what to do with the over ripe Tomatoes now...they are REALLY ripe and they are still coming!!! 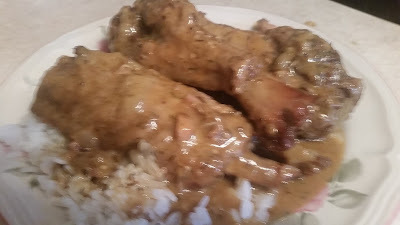 1/2 pound chicken fat add 1/8 cup oil to help with the cooking of the dripping. 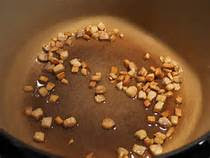 Fry bacon or salt pork until good brown in a frying pan and set a size with dripping in a bowl. 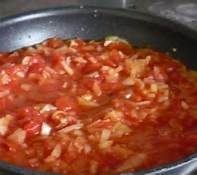 Chopped tomatoes in medium pieces and place in frying pan with 4 tablespoon of bacon dripping cook until mashed. Add bacon and dripping cook on low and slow until the tomatoes juicy become a sauce. 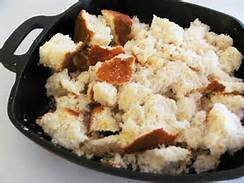 Crumble Cornbread on top and let set about 5 mins.